What an amazing night. 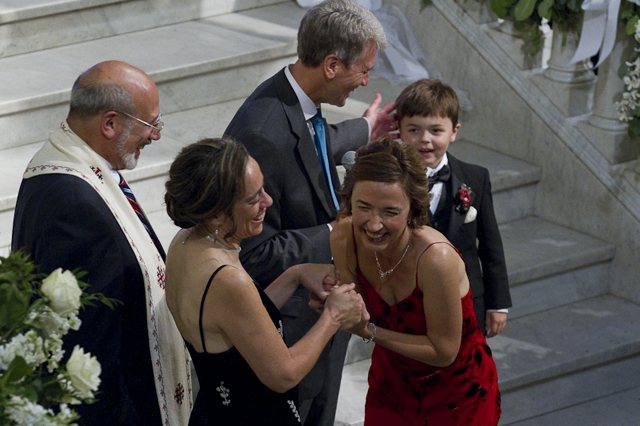 Marriage equality became reality as gay and lesbian couples across the state got married starting at midnight and Love really is the law now. 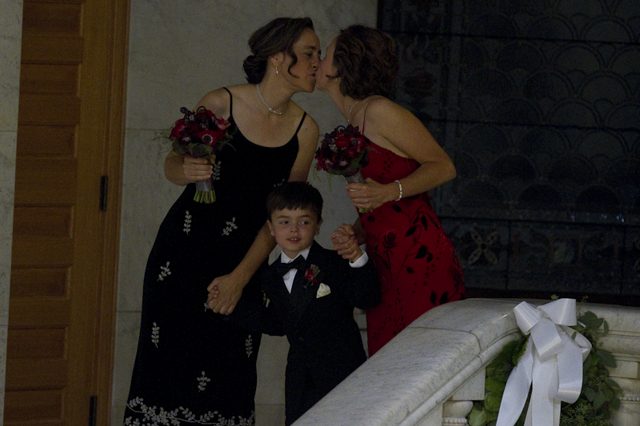 Margaret Miles and Cathy ten Broeke along with their adorable son Louie just before they were married at midnight, the first in Mayor RT Rybak’s wedding-a-thon. 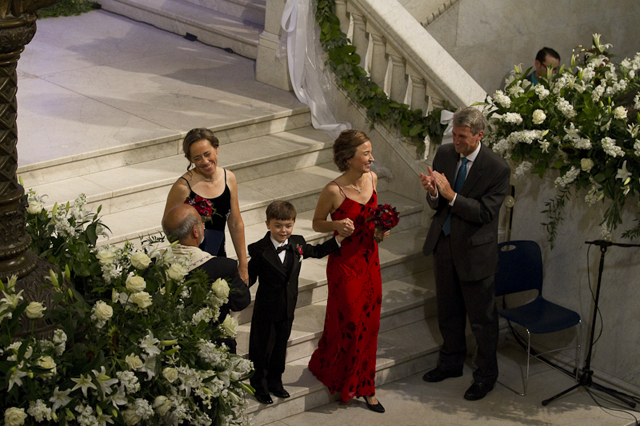 Jeff Isaacson and Al Giraud were the second couple a short time later. 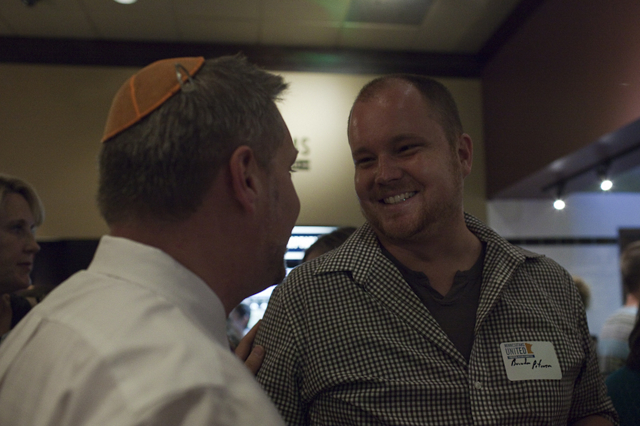 I stopped in for a short time at Wilde Roast where one of many celebrations went on throughout the evening. Sen. Scott Dibble and Rep. Karen Clark were there to greet 100s of people. 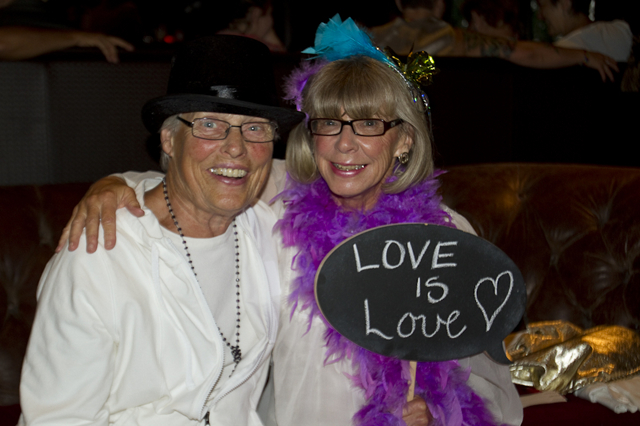 Many of the couples at Wilde Roast have been together for decades like Jo Peterson and Connie Comfort. 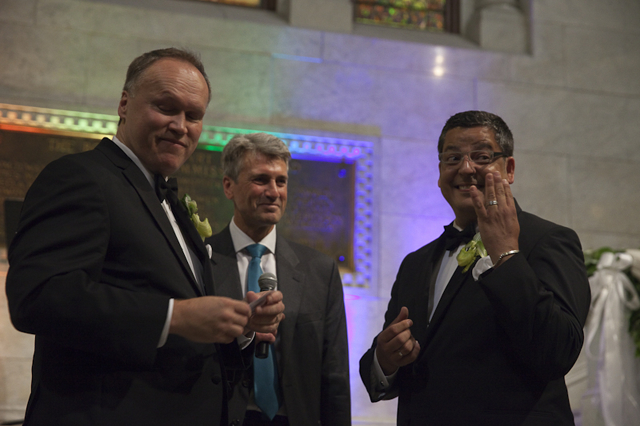 Sen. Branden Petersen, one of the Republican heroes who voted for the marriage equality bill was also at the Wilde Roast to celebrate this historic day. 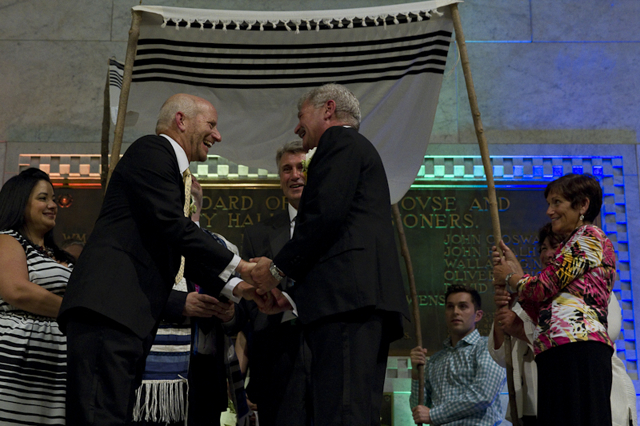 Harvey Zuckman and Phil Oxman the third couple to be married. 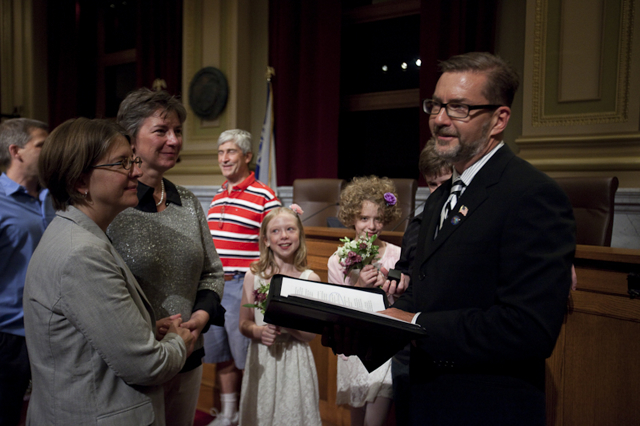 Sen. Dibble also joined several judges who officiated over the vows of several other couples who were the “overflow” weddings held in the City council chambers. 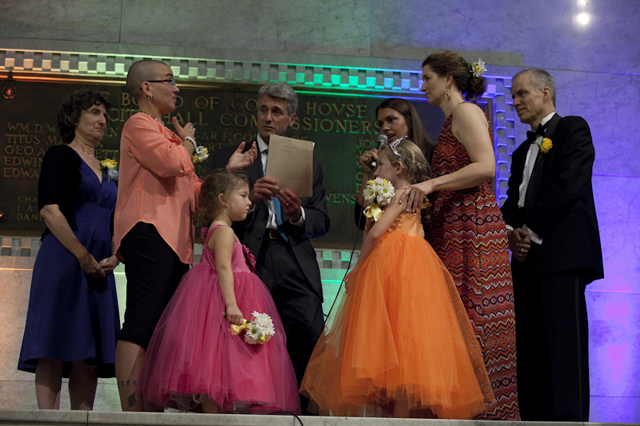 The marriage of Nic and Lisa Zapko with their daughters Josephine and Natalie was beautiful to watch as they signed their vows and an interpreter spoke the words. Best visual applause of the evening. 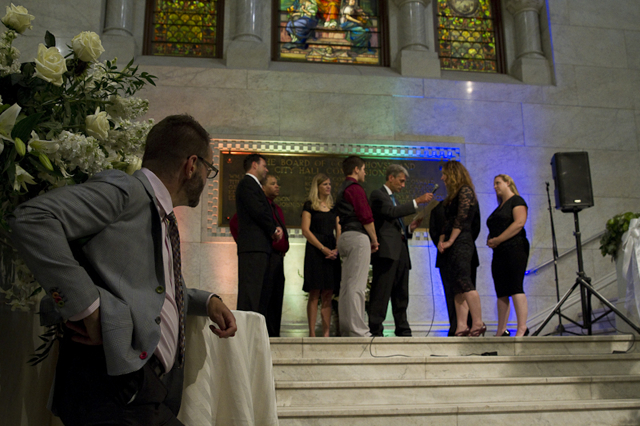 RT Chief of staff John Stiles watches Krystyen Kern and Jill Trudeau get married. 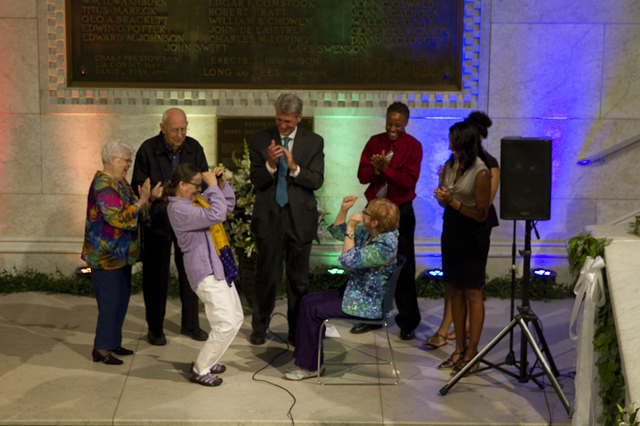 The Mayor’s staff who pulled this all together deserve many pats on the back for organizing a most historic night. 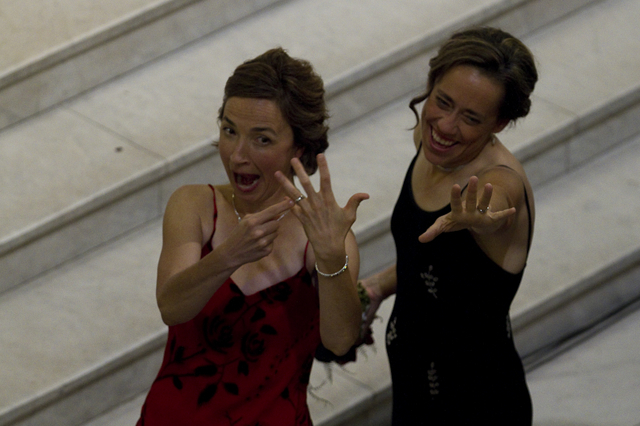 Cathy ten Broeke and Margaret Miles. 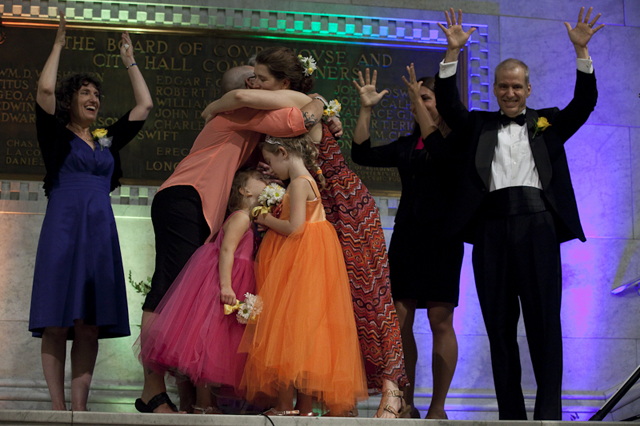 Congratulations to all couples who now have full marriage rights protecting them and their families. What wonderful pictures and what a wonderful night. 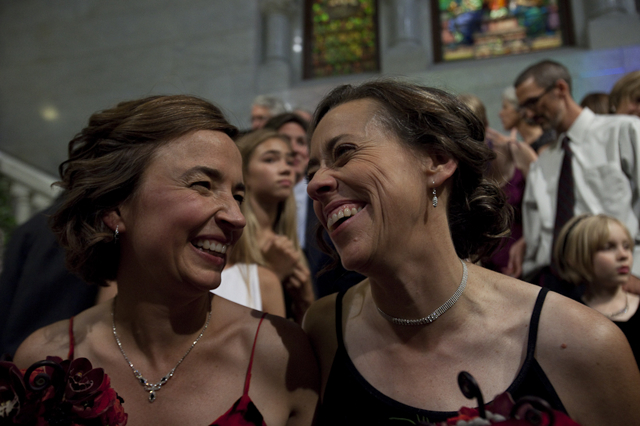 Just think that a year ago we were worried about a ban on gay marriages being put in the constitution. What an amazing and wonderful transformation. 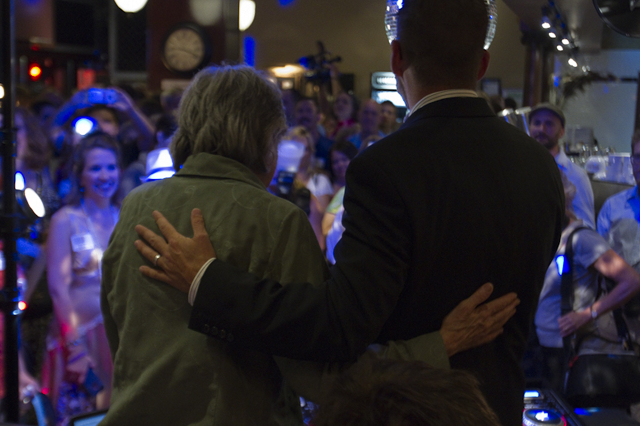 Thanks for help others see the joy in the evening and making memories for those taking part. Thanks Nancy. It truly is amazing.